Bridge County Bluegrass Band biographies. Stories about how Brad, Jason, Merv, Jerry, and Steve started playing bluegrass music in Ohio, Michigan, and the Midwest. 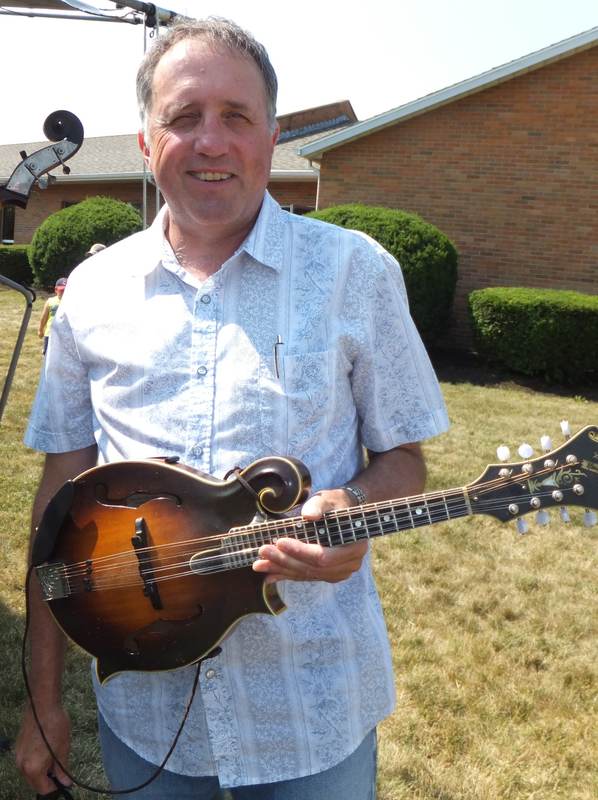 Brad is a northwest Ohio native who has been performing bluegrass music for over 25 years. He has been with several bands over this quarter century, including Salt Creek (with the late Conley Varble), Drive Time (with Pam Cox & Joan White), and various other bands too numerous to mention here. If you run into Brad at a show, ask him about some of the groups and people he has played with. Brad is an avid student of bluegrass music and music in general. He has a great love for the old time string music and the “high lonesome sound”. Brad notes, “there is a special feeling that comes from bluegrass… whether you’re playing it or listening…it doesn’t really matter…it reaches down inside you”. Brad is married and lives in Rossford, OH with his wife Tonie. Jason grew up in the rolling farmlands of Western Iowa, where he learned to play both piano and violin. Although classically trained on both instruments, Monday night fiddle lessons at his grandfather’s house made a life-long impression. While in college at Iowa State University, Jason performed with the Barn Owl Band, who earned national acclaim after appearing on National Public Radio's "A Prairie Home Companion" with Garrison Keillor. In 2004, Jason moved to Dallas, Texas to continue his medical studies and was a founding member of the traditional Irish trio (fiddle, guitar, bodhran) Shift. For six years, Shift performed at various venues and music festivals across the south. In 2010, Jason moved to Toledo, Ohio after being recruited by the University of Toledo to become a professor of Microbiology. Jason continues to play with a spinoff group from the Barn Owl Band, the NoteBoys, at contradances and music festivals across the country. In 2012, Jason joined the Bridge County. Among Jason's musical accomplishments: three-time Mid-American Irish Fiddle Champion, two-time Mid-American Old-Time Fiddle Champion, and Grand Champion Fiddler at the Iowa State Fair. Jason lives in Toledo with his wife Heather and young son Aidan. 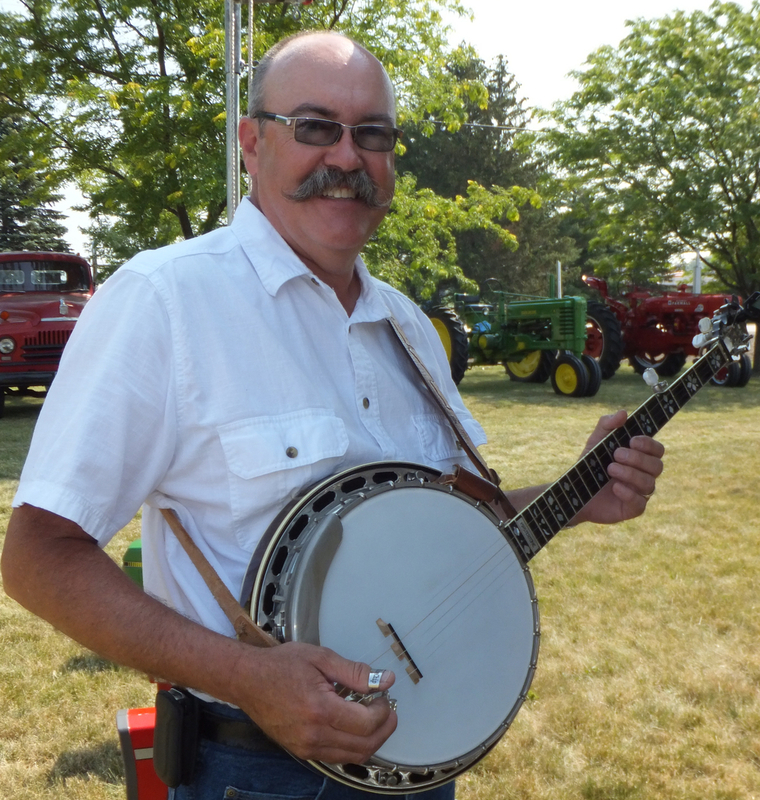 Jerry is a true Kentuckian, born in Louisa, KY. Jerry has been playing bluegrass music for over 25 years. Although Jerry loves all types of music, bluegrass is in his blood and he loves it! He took lessons from the late Conley Varble for a year in 1980 and has been slapping that doghouse bass ever since. Jerry played guitar for the Simon Edwards Band, with Brad, Steve, and Jeff Conley. He also played with Back In Time with Conley Varble, Gene Fry, Merv, and Ron Bloomfield. Jerry is the ex-mayor of Liberty Center, OH and currently lives in Liberty Center with his wife Diane. Jerry and Diane have two daughters, Andrea and Joan, two great sons-in-law, and five grandchildren – the joy of their lives. Merv is the band's second native Kentuckian − born and raised in eastern Kentucky, he was destined to be a bluegrass lover. Merv traces his love of bluegrass to his teenage years listening to the masters: Stanley Brothers, Bill Monroe, and Flatt & Scruggs. Being a part of Bridge County is a thrill for Merv and you can see in the way he sings and plays the guitar. Merv believes that bluegrass should be played in the old traditional style, the way it was meant to be played, with sweet instrumentals, heartfelt lyrics, and a strong beat. You will often hear Merv say “I’ll keep it bluegrass − to me that’s the only kind.” Merv worked for CSX railroad and now lives in Northwood, OH with his wife Pam. Merv and Pam have two daughters: Julie (and granddaughter Cindy) and John & Holly Joyce (and granddaughter Eva Marie). Steve started playing banjo by taking lessons from the late Conley Varble, of Toledo, for one year back in 1985 and has been playing banjo ever since. Steve has played with several bands through the years, including Down Home Praise and the Simon Edwards Band. Steve is an accomplished banjo picker and listeners are in for a real treat when the band features Steve on instrumental breaks. Steve lives in Delta, OH with his wife Mary.